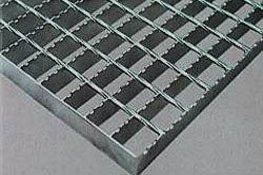 * We also manufacture stainless steel platform gratings. * Stairs according to normalised sizes or to orders. and are marked with the UN. Pipe connectors, threaded pipe unions. We invite you to get known with our offer. We shall also be honoured to answer your questions. 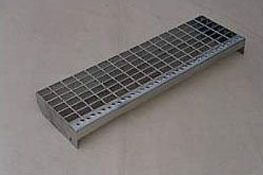 Stair treads have stringer metal plates of normalized sizes. – filled with grating type KOZ with anti-slipping border. 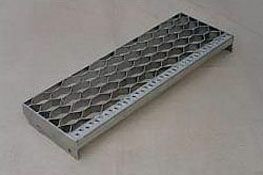 – filled with grating VEMA with anti-slipping border.